A colorful glimpse into a unique quarry in the Upper Peninsula of Michigan. 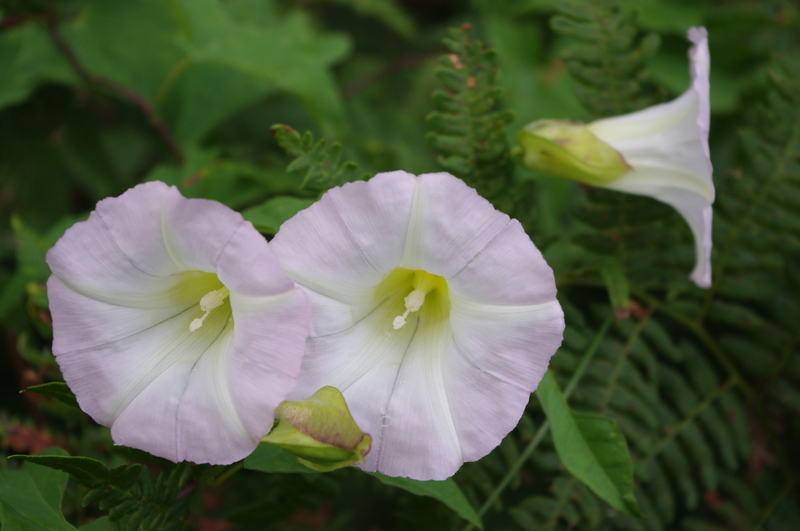 This former limestone quarry was filled almost instantly when miners hit a natural spring. 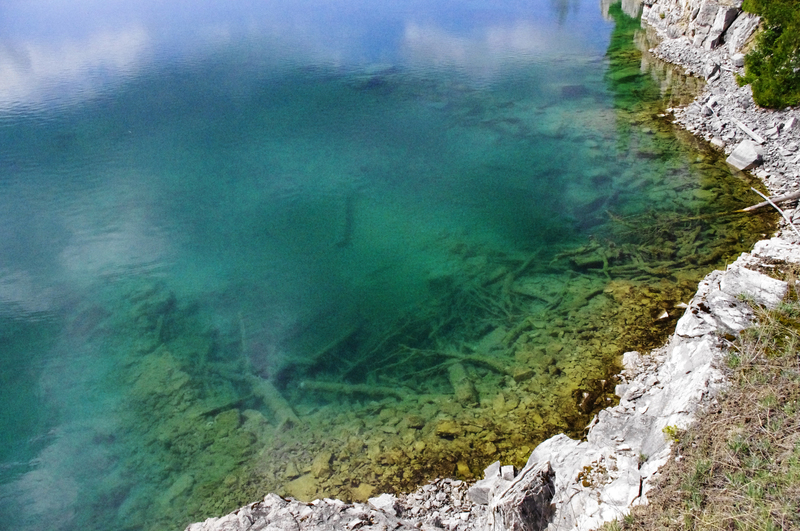 The white limestone gives the water an almost tropical color, while remaining crystal clear to see the sunken buildings, equipment, logs, and wildlife at the bottom (about 20 feet deep when this photo was taken). It used to be one of my favorite swimming places, but was drained in recent years to resume limestone mining. 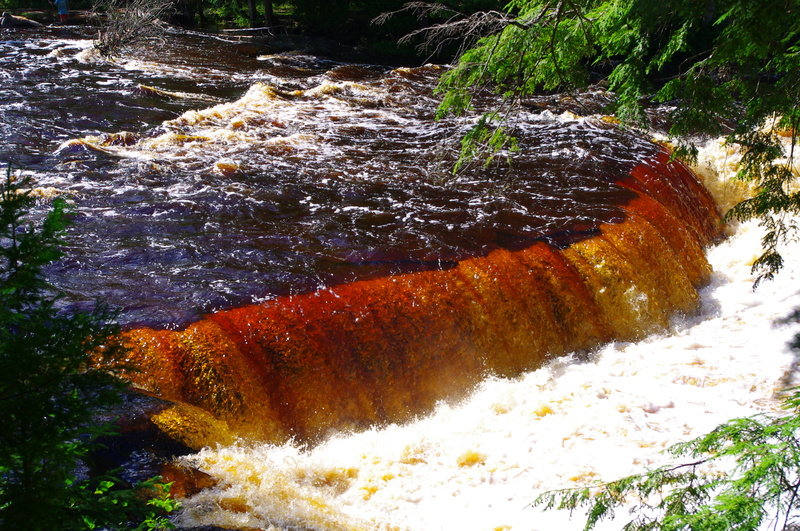 Rootbeer brown water cascades over the Tahquamenon Falls in Paradise, Michigan.